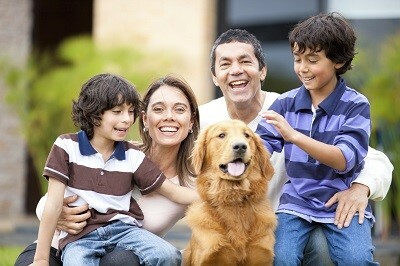 A dog is often referred to as “man’s best friend,” and with good reason. Animal lovers, and dog lovers in particular, are quick to sing the praises of their four-legged friends. In addition to the expected lessons, such as teaching responsibility to children, a lot can be learned from our canine companions (not to say that the following could not be learned from or applied to other furry or feathered friends, too). A dog doesn’t care about what you’ve done in your past – whether that’s a few years, a few days, or a few hours ago. A dog cares about how much longer you’re going to rub their belly right now. All a dog needs in life is shelter, food and love. A dog eats when they are hungry, drinks when they are thirsty, and sleeps when they are tired. There’s something to be said for only worrying about the basics. The joy a brand-new tennis ball can bring to many dogs is astounding! And, did you say treat? We could learn thing or two from a dog’s enthusiasm. Looks can be deceiving. Someone who, on paper, you may think you have nothing in common with could become a great friend. Don’t judge a book by its cover. In many households that have cats and dogs (arguably some of the most notorious “enemies” in the domestic animal kingdom), these animals learn to coexist in harmony. In fact, National Geographic has made an entire show based on unlikely animal friendships. Nothing says love more than when your dog drops his or her favorite, slobber-soaked toy in your lap. Consider this your dog saying, “This is my most-prized possession and I want to share it with you!” Life is a lot more fun when we share with others. And, the longer you wait, the worse the mess will become. Dogs will be dogs, and many love to play in the dirt. The longer you wait to clean up your pooch after a romp in the mud, however, the more difficult it will be to get him or her clean. The same holds true for messes in our own lives. Whether it’s a physical mess or a mess in your personal life, they all need to be handled, and the sooner the better. The longer you procrastinate, the harder it can be to clean up. Dogs give 100 percent of themselves to anything they do. Especially with puppies, there is not usually any in-between they are either little fur-balls of energy or are fast asleep. Over the past few years, the “dog shaming” trend has taken the Internet by storm, and for good reason. These mischievous canines truly look sorry for the trouble and mess their antics caused. In life, you’re going to do things that will make people angry. Be sorry and learn to apologize. After a long day, all you may want to do is sit on the couch, but your dog thinks otherwise. Your fur-baby wants to play – he or she barks at you, licks your face, brings you all his or her favorite toys – until finally you give in. Success! What’s the lesson to be learned here? If at first you don’t succeed, try and try again. Have you ever seen anyone or anything more excited than a dog when their owner returns home? A dog’s love is undeniable – these animals wear their hearts on their sleeves. They are never ashamed to show you just how much they love you!